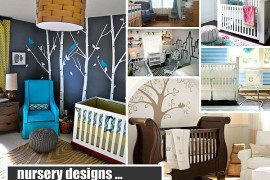 When it comes to decorating possibilities for the modern nursery, many user-friendly options await you! 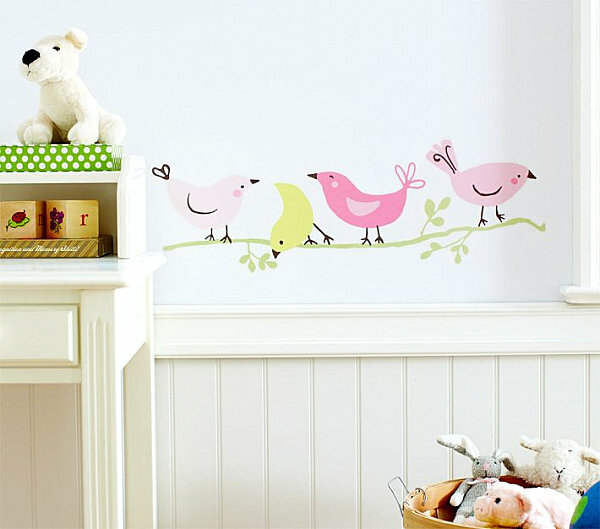 What could be easier than peel-and-stick decals that can be applied and removed without doing any damage to the wall underneath? 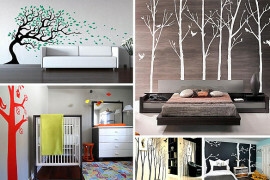 A perfect solution for renters, wall decals can transform a room into a magical wonderland with a few pieces of vinyl. 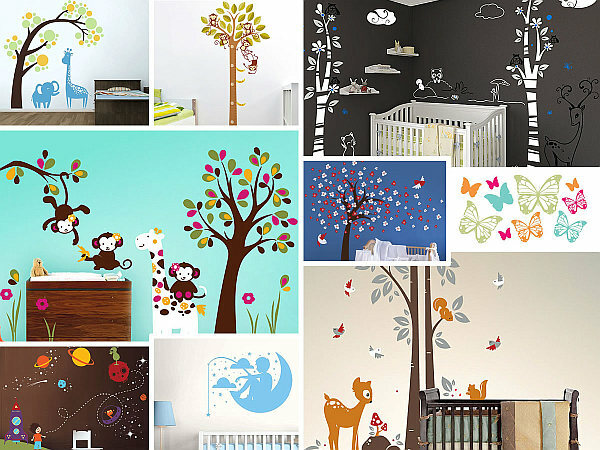 Today’s featured decals are organized by their popularity in boys’ and girls’ rooms. 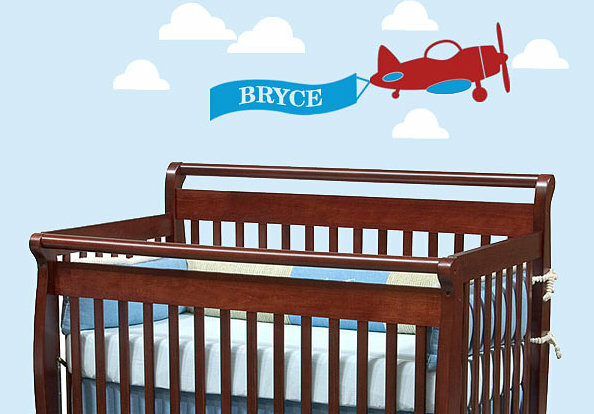 But don’t be quick to stereotype–who’s to say that baby girls can’t enjoy blue elephant decals or airplane motifs? 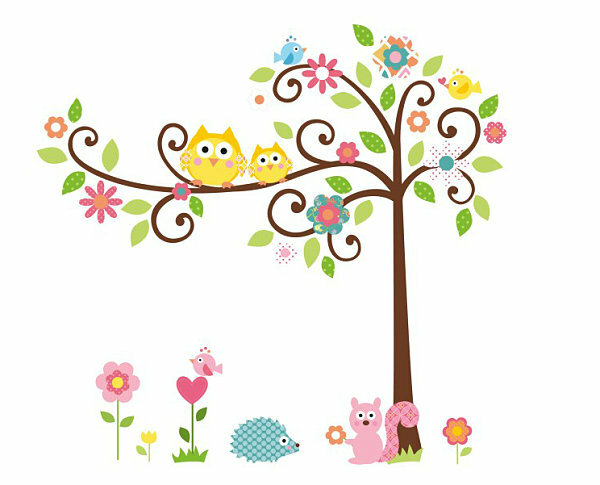 Furthermore, a bird-filled tree decal can be just as appropriate for a boys’ nursery as it can for the room of a baby girl. Don’t take the categories below too literally. 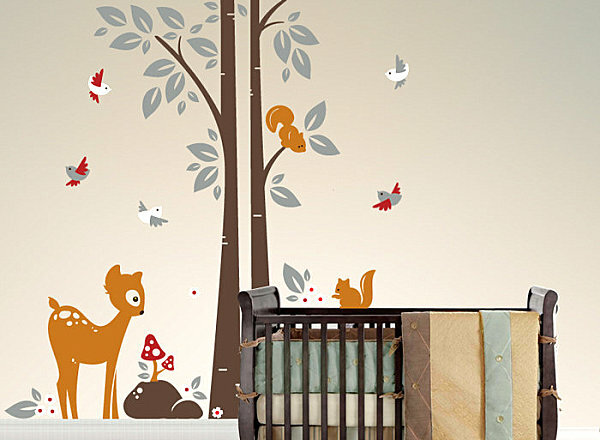 Be creative, and find ways to incorporate your desired motif into the nursery of your dreams! 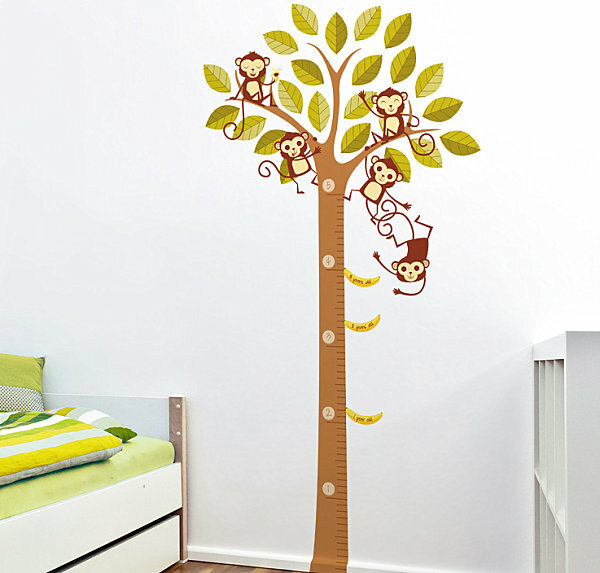 We now travel to the jungle to view the Banana Loving Monkeys in a Tree Growth Chart, a decal set from Dali Decals. 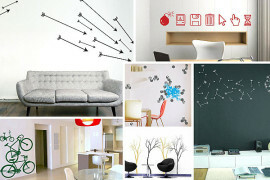 Not only is the chart useful, the stylized design instantly sets a playful, fun tone! Ready to be transported through the universe? 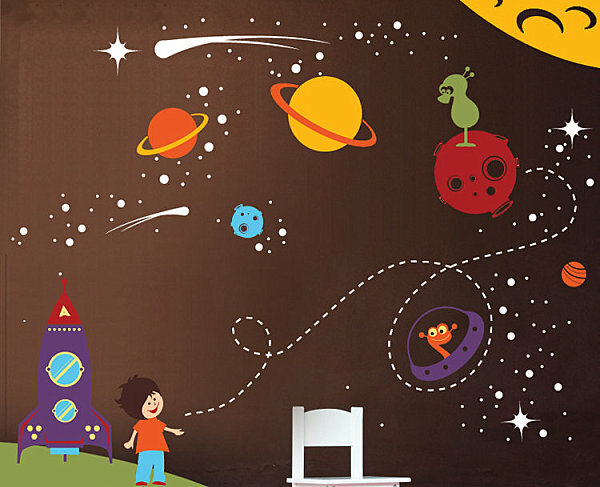 Outer Space Wall Decals from EvgieNev will get the job done! 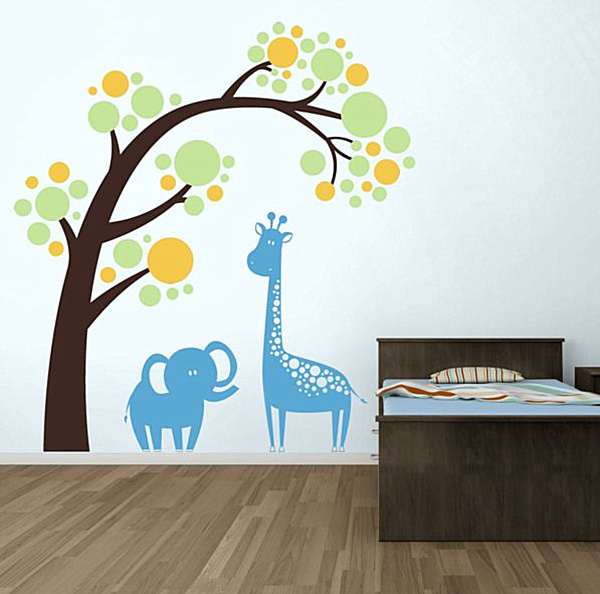 These matte vinyl decals add a whimsical element to the nursery. 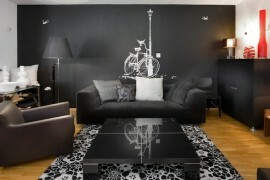 As you might imagine, they really pop against vibrant walls, much as stars shine against the dark sky at night! 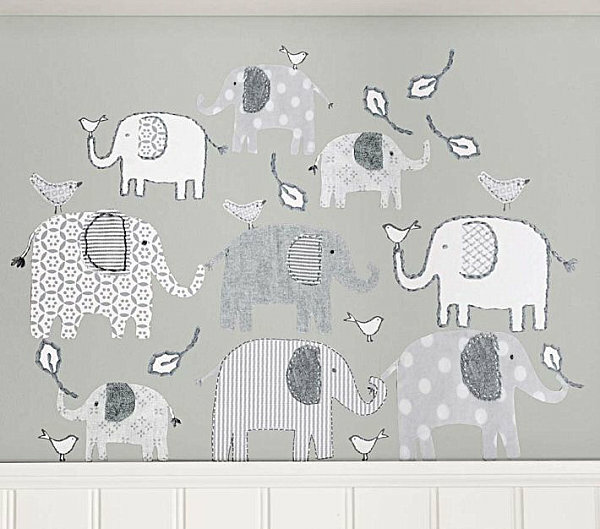 A whole herd of elephants stars in the next vignette, thanks to the Branson Elephant Decal from Pottery Barn Kids. A crafty look is achieved by stitch-like borders. 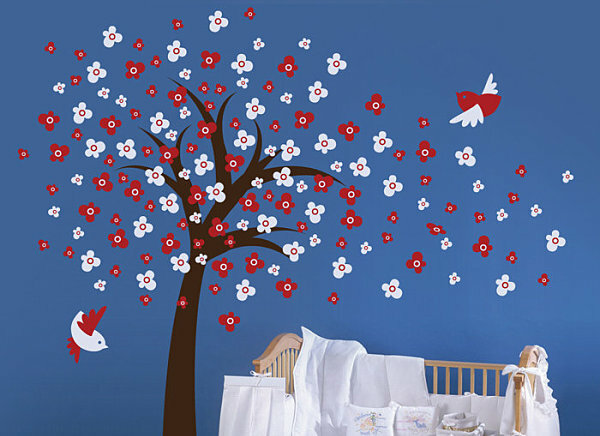 A homemade effect is the result, which makes this selection a clever departure from many of today’s ultra-bright contemporary decals. 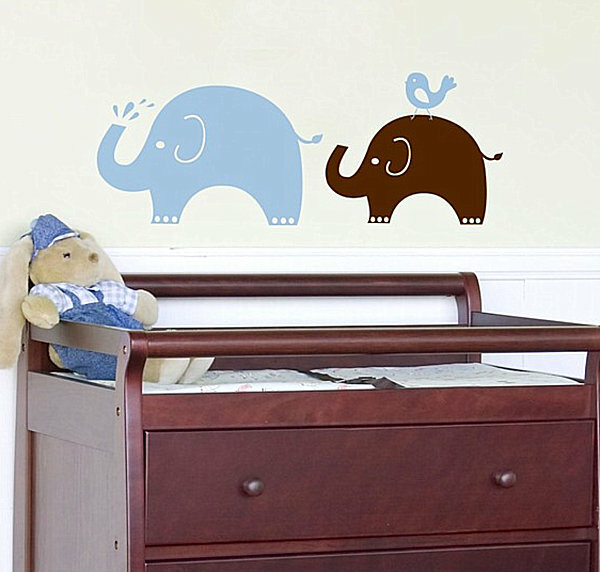 We wrap up our boys’ nursery decals with the All Aboard! 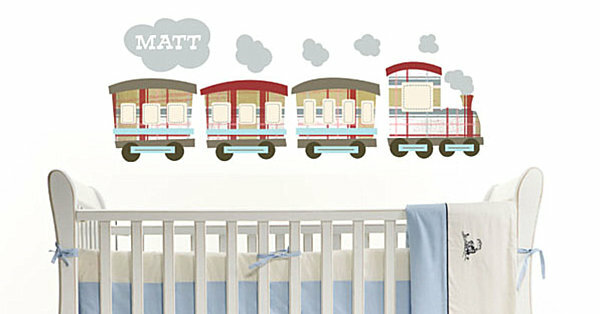 Fabric Train Wall Decal from The Boys Depot. 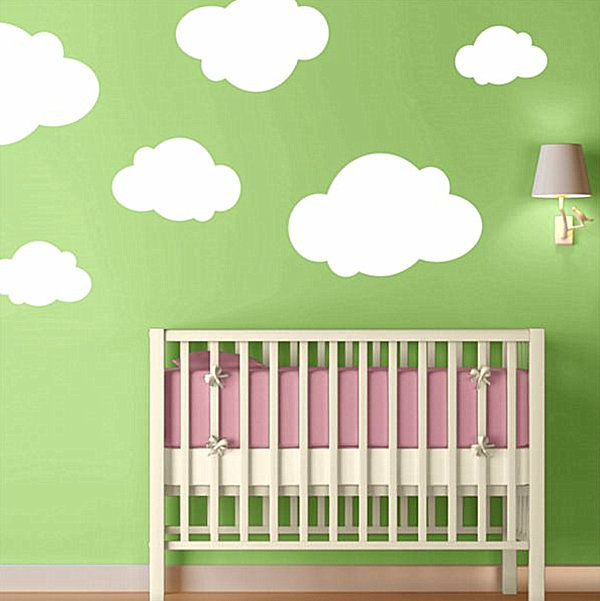 Little puffs of steam bring this design to life, as does the largest puff, which is the perfect place for your child’s name. Locomotive charm is hard to resist, especially when displayed so artfully. 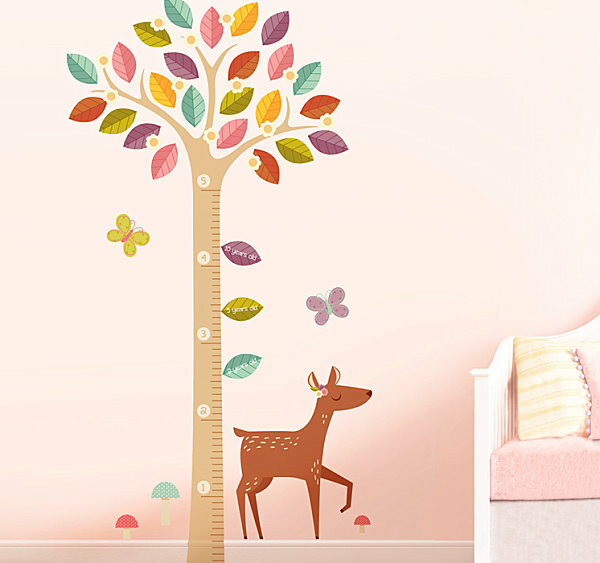 The decals below are girly and fun, so get ready for some lovely statements in vivid shades. 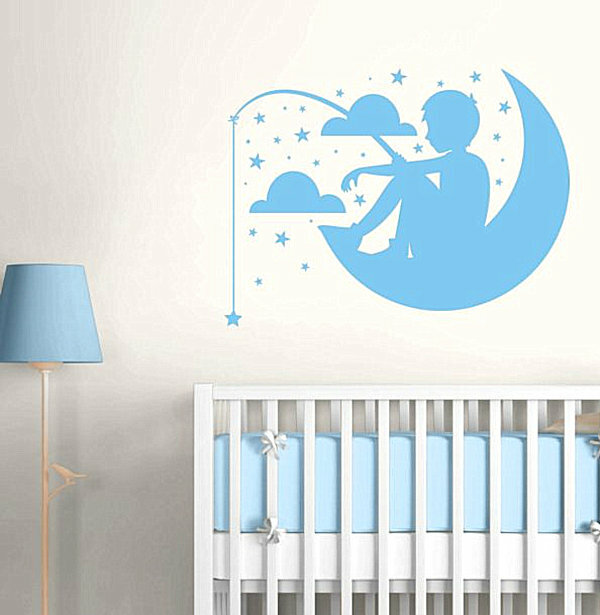 A little shine is never a bad thing, and the Glitter Butterflies Vinyl Wall Decal Set from Bed Bath & Beyond ensures that delicate yet bright design is brought to the nursery. 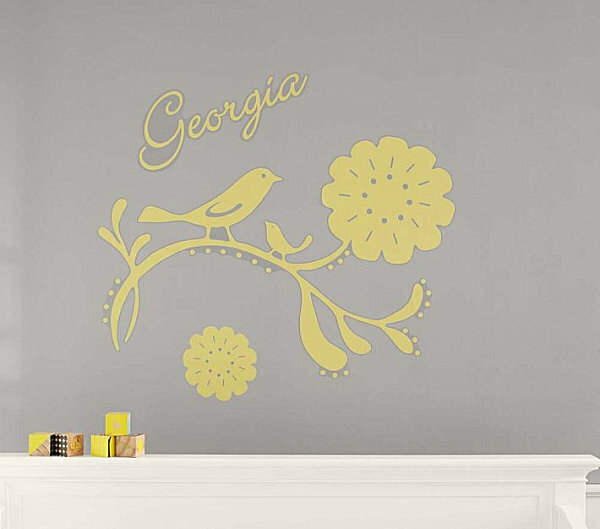 We couldn’t end this blog post without featuring a personalized decal for girls! 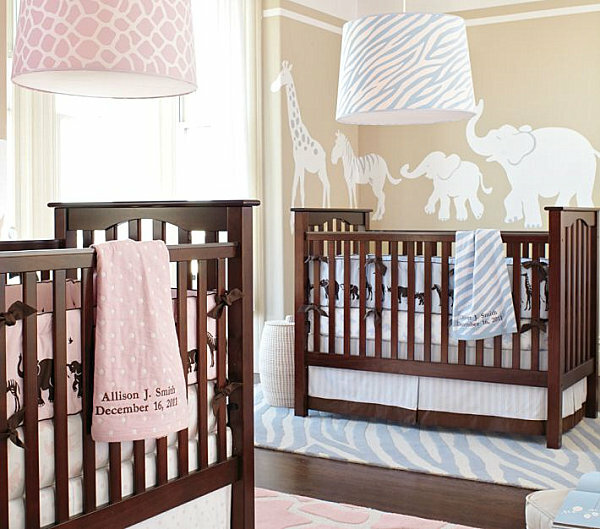 Yes, it’s the Personalized Bird Decal from Pottery Barn Kids, which is just the right size for one bold accent that gets the job done without covering the entire space. 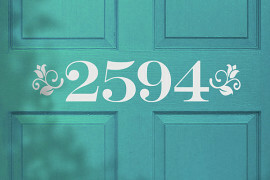 Simply sweet, don’t you think? !